SEED 4 will wrap-up this weekend with an exciting collaboration with Seed Broadcast and a closing reception on Oct. 28th. The Seed Broadcast project adds a unique element to this three week long show at the Stables Gallery. The Exloratorium focus on “Seeds to Food” has allowed many Taoseños and visitors to connect with the value of heirloom seeds. Seed stories have been shared in the artists' statements, in oral history displays and among visitors to the exhibit. It is a great fit to host this relevant addition to SEED 4. From a distance the Mobile Seed Story Broadcasting Station looks like an ice-cream truck, but a closer look reveals solar panels on top and pictures of heirloom seeds pasted to the outer walls. Speakers on top broadcast stories about seeds rather than an ice-cream jingle. The Seed Broadcast Station is a converted bread truck that travels around to collect stories about seed networks and seed savers in urban and rural agricultural systems. It made a cross country journey to New England this summer and will be making shorter regional journeys throughout the winter in and around NM. Jeanette Hart-Mann and Chrissie Orr of the Fodder Project Collaborative Research Farm, located in Anton Chico, New Mexico are behind the project. Seed Broadcast explores grassroots efforts to save, share and grow seed to preserve food sovereignty. They do this by broadcasting passionate voices across the airways of our Nation. While the truck is not a seed bank or library in a traditional sense, it is another kind of seed archive that holds the histories of seeds and seed savers it has encountered along the way. Inside the truck is a digital media library that can offer information, along with listening to the previously recorded stories. The purpose is to establish a seed network for future generations. Rural, traditional growers and sustainable farmers could become crucial seed bank holdouts in the critical international issue of copyrighted seeds. 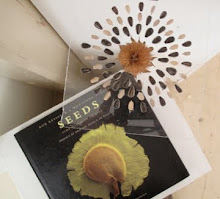 Visitors are free to use the copier on board as well as take home pamphlets, articles and blog posts about seed saving and information on creating seed libraries. All are welcome to come by and explore the solar-powered broadcasting station and its interactive, multi-media library. The Seed Broadcast team will also be conducting audio interviews, so bring your personal seed stories to broadcast. Gratitude for this information. My daughter just loves taking part in such art galleries. She is a super creative child. Last month we celebrated her birthday at the local event space and it was an art themed bash. We totally loved it.